Leeds Swing Exchange Bookings Open!! 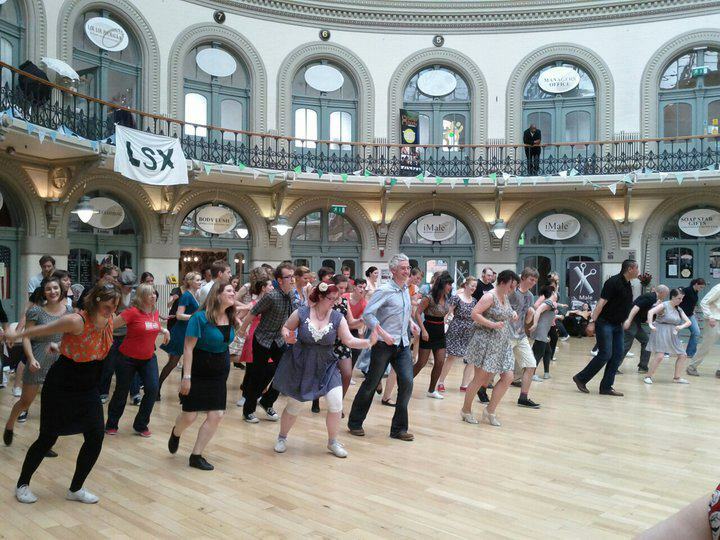 Leeds Swing Exchange returns for a second brilliant year! Between 10th-12th August there will be three glorious days of Swing Exchange joy in the heart of Leeds, for everyone who loves a bit of Lindy, balboa and blues, cultural activities and fun in the (hopefully) sunshine. Early Bird prices will be £33 students and £37 non-students. The prices will go up on 1st June so get in early! Cake/baked things shall feature heavily in this exchange, and please feel free to bring your baking along to donate to the Saturday night dance, or the Swing Picnic.